When you take it to the mechanic, you get the dreaded question: when was the last time it was in for maintenance? With the average price of upkeep at about $10,000 a year, routine vehicle maintenance is often postponed or falls by the wayside completely. Resolving to adhere to manufacturer maintenance guidelines can save you hundreds to thousands of dollars a year. Even better, you can do many of them yourself. But first, you have to know what to check and when to check it. Oil is absolutely necessary for your vehicle. It lubricates the metal parts in your engine so that everything runs smoothly. Many experts suggest changing the oil every 3,000 miles. Still, others recommend 7,500 miles. We recommend 5,000 miles. Why? Because it doesn’t hurt to change the oil early and because most of the automobiles made in the past decade have improved technology, making the original 3,000-mile expectation a thing of the past. Of course, your check engine light should also come on. 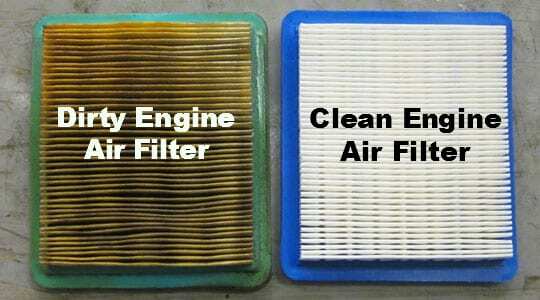 It’s so cheap and quick to fix, there is no reason to avoid changing your air filter. This small part does a lot for your vehicle. By collecting the dust and debris that finds its way through your vehicle’s cracks and crevices, the air filter prevents buildup in your engine and other internal components. It only costs about $15 to replace it yourself. It also doesn’t require a bunch of complicated maintenance or time; the entire endeavor can be accomplished in 10 minutes. Air filters should be replaced every 15,000 to 30,000 miles. To physically inspect your filter, pop the hood and take a look for yourself. If it’s clean, you should still be able to see a white or off-white color. Being able to stop quickly to avoid an emergency situation is why you need to regularly check your brake pads. Putting it simply, these squeeze your tires so that your vehicle slows. Without the pads, you’ll have metal squeezing on metal. And, trust us, no good comes from that. 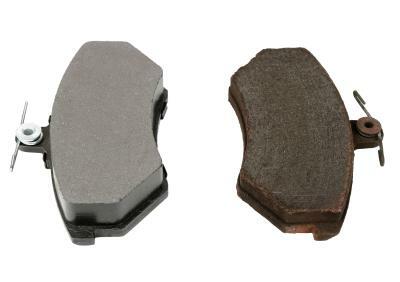 Depending on wear, brake pads should be replaced about every 50,000 miles and should maintain a width above 3 or 4 millimeters. However, there’s an easy way to check how low your pads are. Insert a straw through the spokes of your tire along the brake pad until the disk stops you. Mark where the pad ends. Deduct 5 millimeters from the measurement. Voila. You have a rough estimate of the width of your brake pads. Find out where your fluids are stored, and be sure to check antifreeze, power steering and windshield wiper fluids. In most vehicles, you will be able to see the fluid through the container. There will even be helpful “full” and “low” indicators. In some instances, however, you may need to insert a dipstick to see your fluid levels. And, yes, in rare situations you may even have to buy a measuring tool. A sweet odor, no heat and a greasy film may indicate the coolant needs to be filled. A whining or squealing noise and a difficult-to-turn wheel may mean you need to fill your power steering fluid. When that nice, clean stuff just won’t squirt out of the wipers anymore, it’s probably time to fill up on your wiper fluid. A timing belt quite literally coordinates the proper times for components to work together properly. Think of the cogs on a clock. Without this belt, everything fails to work as a team. Timing belts generally last 60,000 to 100,000 miles. A serpentine belt “transports power to your vital automotive components,” including the air conditioning, alternator and power steering pump. They, too, average 60,000 to 100,000 miles. The good news is it’s easy to check for wear. The bad news is that replacement of either belt usually costs hundreds of dollars because it requires proper equipment and dismantling. After opening the hood of your vehicle, locate the belts and check for wear. Discoloration, fraying and cracks are good signs you need replacements. Many of these routine checks take less than an hour to complete, and you can always hire a certified mechanic to do the job for you. It never hurts to keep an eye on recalls in the news either – for example, the deadly but under-reported Takata airbag recall has affected more than 42 million cars in the US. This recall and others affect parts of the car like tires, windshields, and more, so it pays to stay on top of the news and check to see if your car is on the list of those affected. These five simple maintenance checks will save you money in the long run and give your vehicle the long life it deserves.